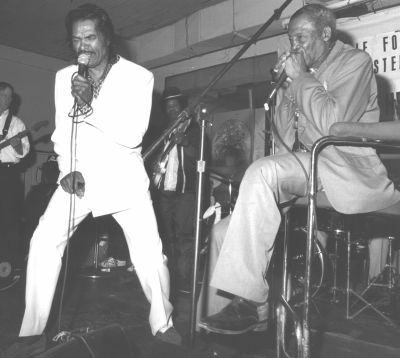 Willie James Foster, known around his home of Greenville, Mississippi as the "Godfather of The Blues", says, I am the blues from the bottom of my foot to the hair on my head. I was born in the blues, raised in the blues and lived the blues. Willie Foster was born Sept. 19, 1921 on a cotton sack four miles east of Leland while his mother was picking cotton. After that experience she was never able to have any more children. His family share cropped and made about $100 a year. He bought juice harps at age 5 or 6 and made a diddley bow on the side of the house. Bought his first harmonica for 25 cents he saved from carrying water to the fields for two weeks at age seven. With no sisters or brothers he helped his family farm and shared cropped from age 7 to 17 often with sacks tied on his feet for shoes. He only got to attend school until fourth grade and later years only when it rained and he couldn�t go to the field. At age 17 Willie migrated north to Detroit where he worked in the auto industry. During WWII, he joined the army and was sent to Europe. 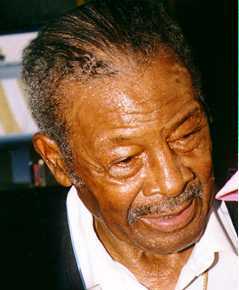 There he played his harmonica for Joe Louis and Betty Grable at a show in London for the soldiers. Willie had heard Muddy Waters in jukes in Mississippi but met him in Chicago. 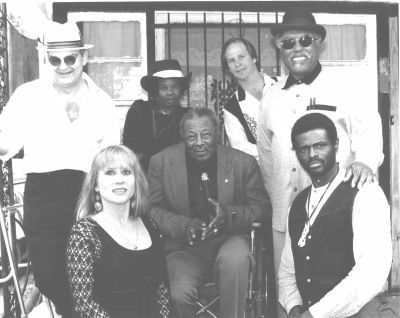 Willie and his three piece band from St.Louis often toured with Muddy's band. He came back to Mississippi in 1963 to take care of his dad who was involved in a severe car accident. He worked around the Delta and started playing jukes around Holly Ridge, Indianola, and Greenville. 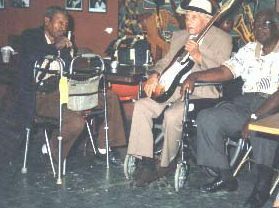 Midge Marsden , a New Zealander, heard Willie in 1991 while visiting the Mississippi Delta and invited him to play there for three months. Willie's career started to take off after his return home. Since then he has played over seas several times and all over the United States with his band "The Rhytmn and Blues Upsetters." Willie Foster can be heard on Palindrome Records,"My Life" and RMD Music, Willie J. Foster, "At Home With The Blues". His latest CD with The Rhytmn and Blues Upsetters is "Live At Airport Grocery" on Mempho Records. Willie and band play regularly at The Walnut Street Bait Shop in Greenville, Mississippi and different venues throughout the south. Information provided by Butch Ruth from an interview with Willie Foster in October of 1999 at the Delta Regional Medical Center the day after surgery to remove his other leg. As always Willie was in great spirits. all photos this page are copyrighted please ask permission to reuse them.